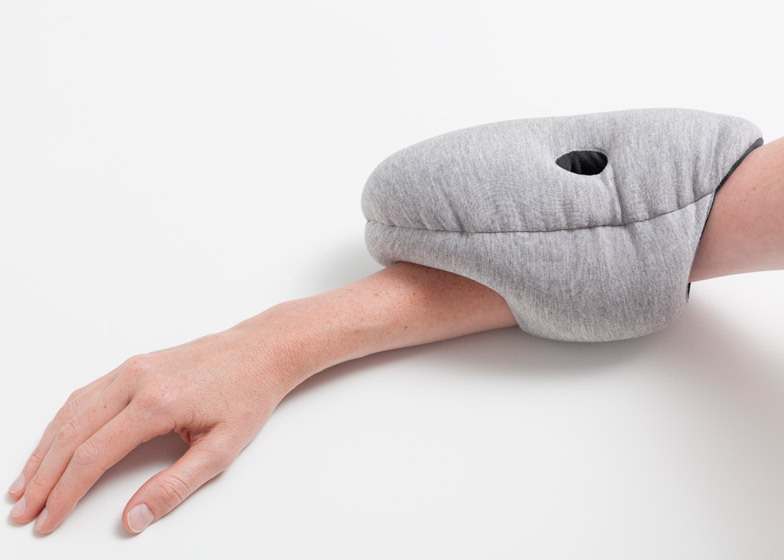 Following the success of the Ostrich Pillow, a travel cushion that fits over the head for sleeping anywhere, Studio Banana Things has launched a smaller version that slides onto the user's arm or hand (+ slideshow). 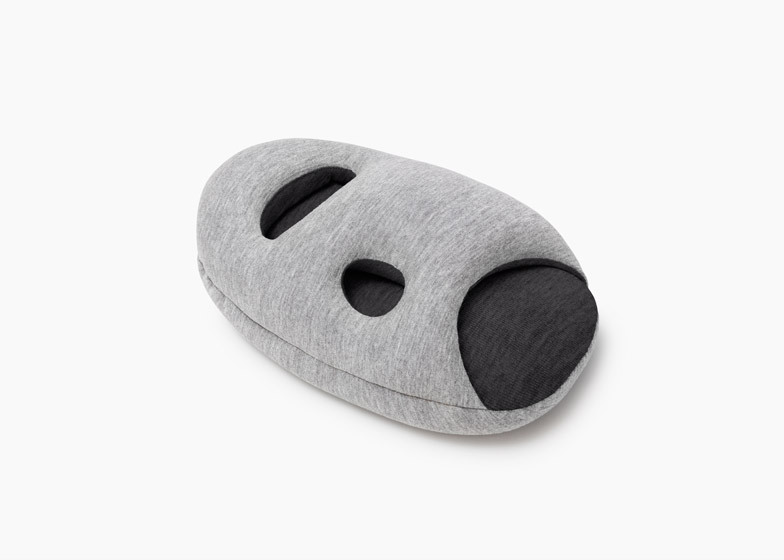 Ostrich Pillow Mini, which has a grey exterior and a lining in a choice of four colours, was developed in response to user feedback on the original Ostrich Pillow. 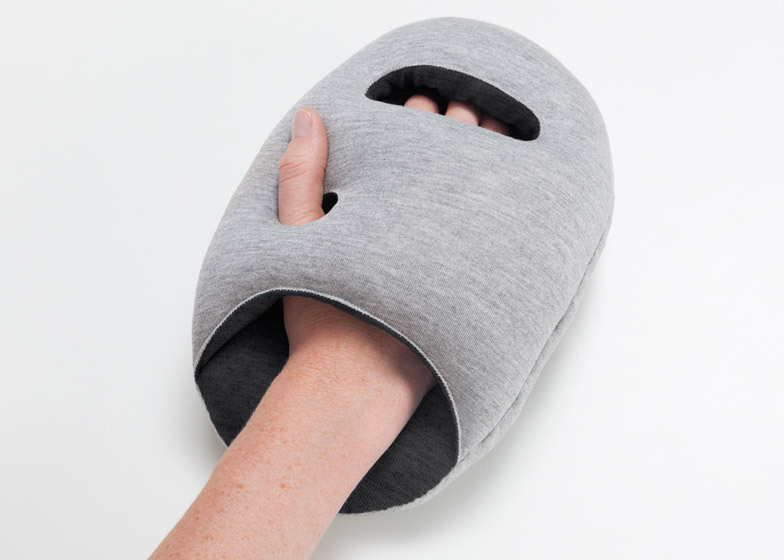 The mitt slips onto the arm to support the head in different temporary resting positions. 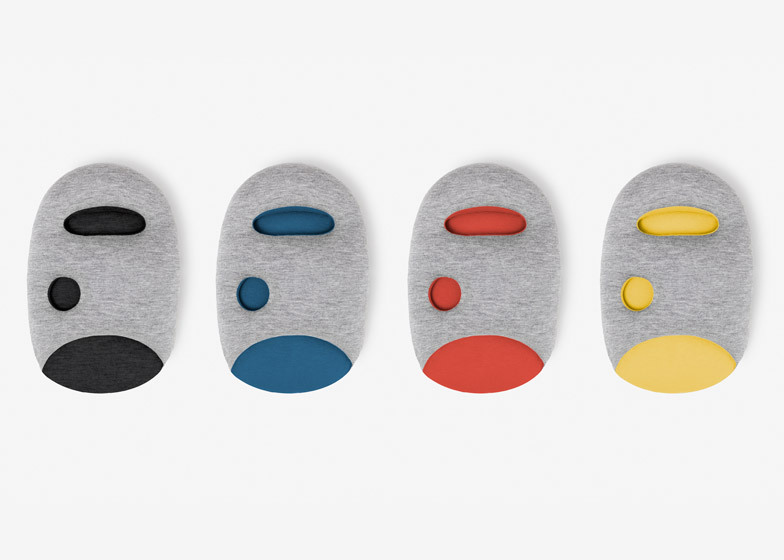 "Some of our customers had been asking for a smaller product to fit comfortably into a bag or pocket," Shadi Ganjavian-Connor of Studio Banana Things, previously known as Kawamura-Ganjavian, told Dezeen. 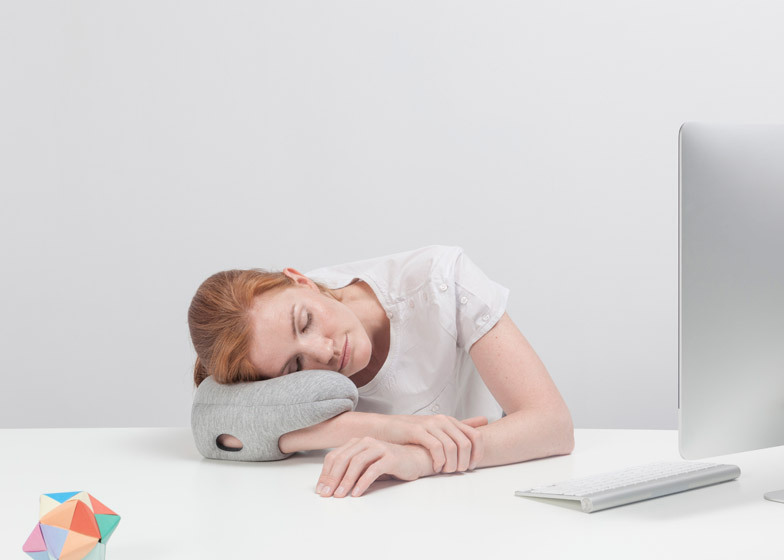 "Also we have been observing people's sleep postures and thought wouldn't it be great to enable more napping positions through engaging our hands and arms. Last but not least we wanted a really good pillow fight and thought this product would fit the bill!" 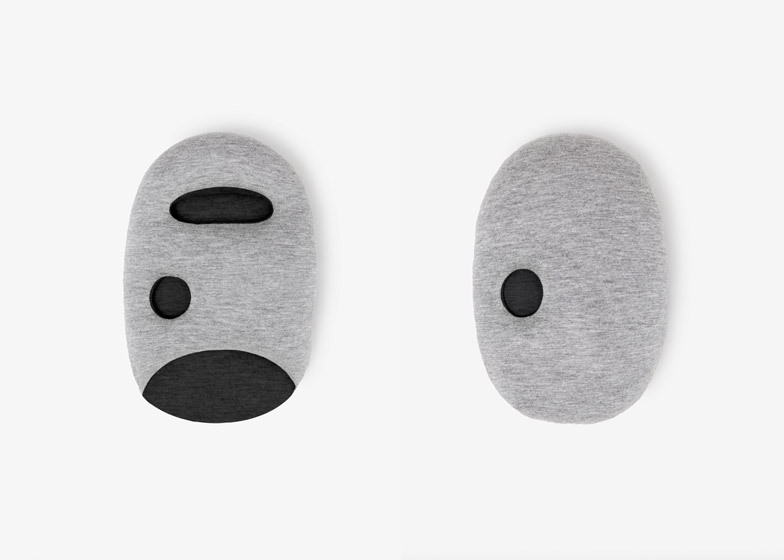 The cushioned pads are filled with silicone-covered micro-polystyrene balls to mould the pillow to the shape of the user's head. 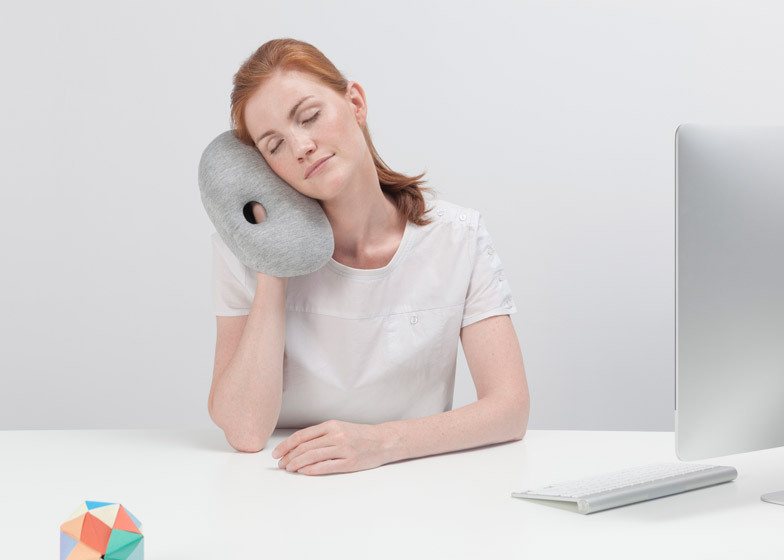 The Ostrich Pillow Mini is currently raising funds on Kickstarter and reached 105 per cent of its $15,000 (£10,000) target within just 48 hours. 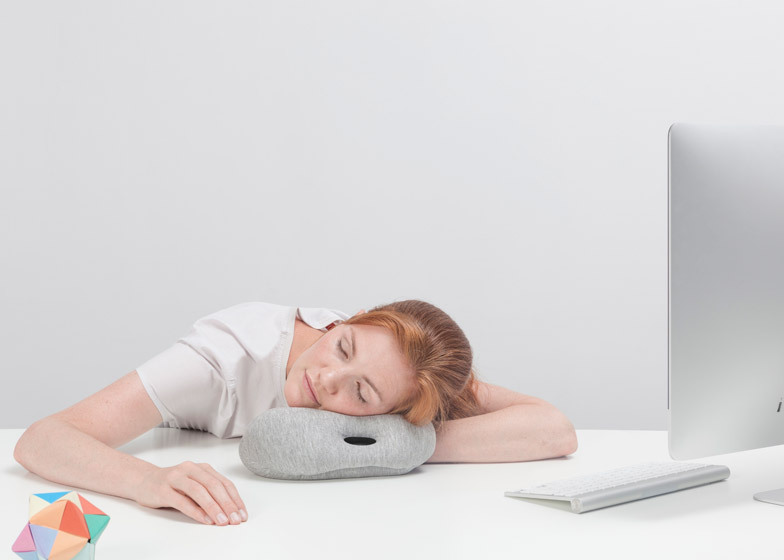 The first Ostrich Pillow was designed to create the perfect conditions for a power nap at a desk, at the airport or in the library, and was launched on the crowdfunding website in 2012. The product raised $195,094 (£120,000) against a $70,000 (£43,000) goal. A smaller version for children was introduced a year later, with a compact design that only wraps around the eyes and ears following shortly after. Both were also successfully funded on Kickstarter. "We have truly been overwhelmed by the reception - we did not expect it at all," said the studio. "Our fans stretch across the globe and many of them have supported all four of our Kickstarter projects."